PLYMOUTH, Mich. – Community Financial Credit Union celebrated “Credit Union Youth Week,” in efforts to expand its youth education program. Community Financial and the Youth Education team provide educational activities and celebrations to provide area youth an opportunity to experience lifelong financial skills at a young age. During the week of April 21, 2014, Community Financial offered coloring sheets, prizes, and double punches for the student and youth members making deposits during the week. “Credit Union Youth Week” is a national campaign prompted by the Credit Union National Association (CUNA). CUNA coined 2014’s “National Credit Union Youth Week” as “Catch the $ave Wave!” Credit unions across the United States participated in activities for youth from April 21 to 26. 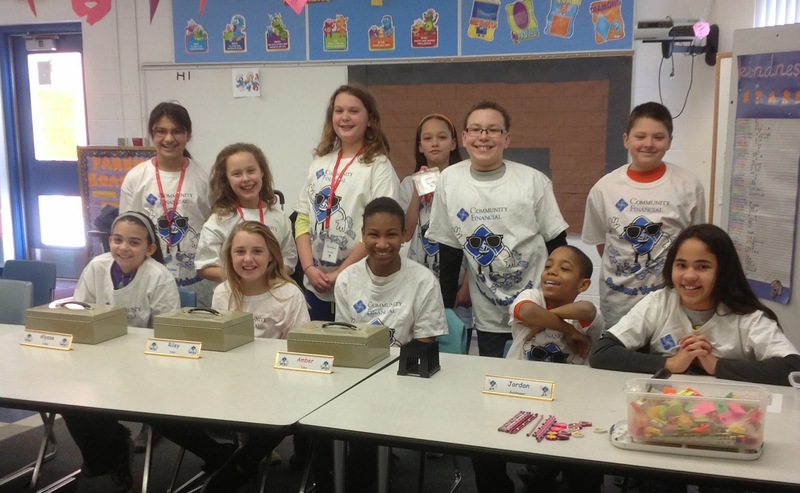 Thornton Creek Elementary School Student Run Credit Union volunteers. 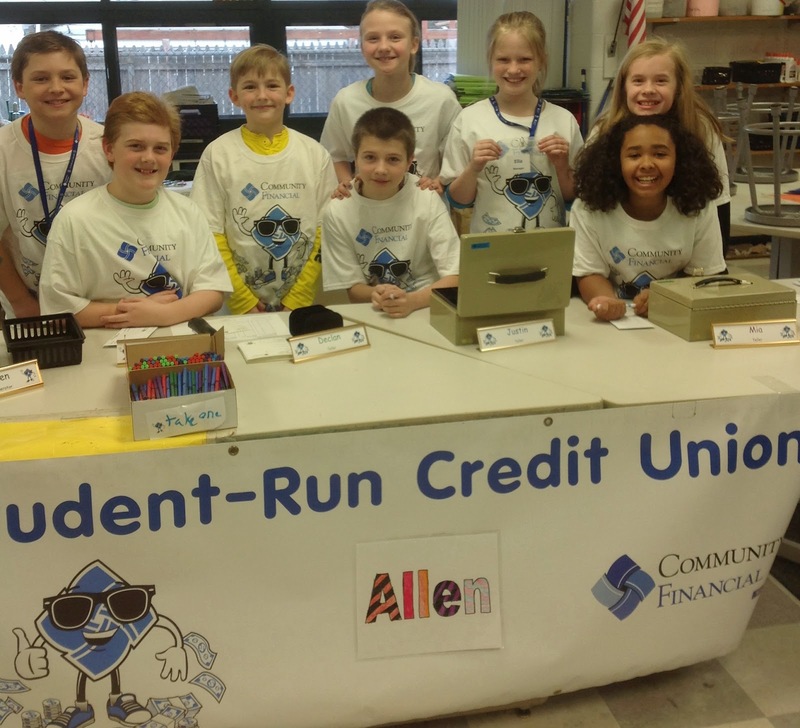 Allen Elementary School Student Run Credit Union volunteers. 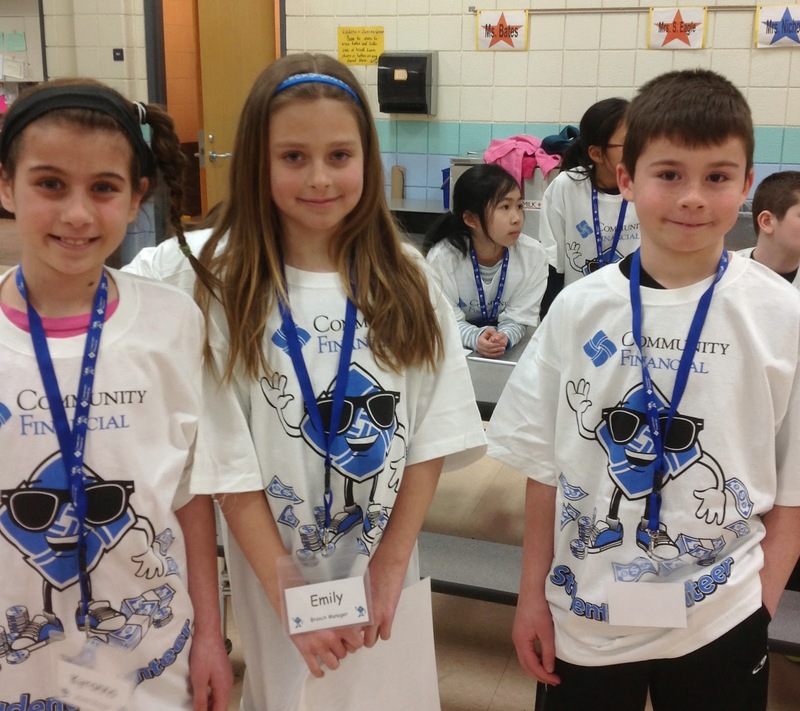 Field Elementary School Student Run Credit Union volunteers. Senior Education Partnership Coordinator Natalie McLaughlin with student volunteers. ATLANTA, Mich. – A new branch of Community Financial Credit Union has opened in Atlanta, Mich. Branch Manager and Atlanta community member Crystal LaPorte said the new branch will serve the greater Atlanta area at 12483 State St. The location will also add to the credit union’s efforts of supporting northern Michigan resident’s financial needs. “I was born and raised in Atlanta and am now raising my family here. I am proud to be of service to the rest of my community,” LaPorte said. Community Financial prides itself on giving back to the communities in which they are a part of. The credit union initiates many community focused programs and events such as student run credit unions, youth education programs, charitable donations and sponsorship in local events. “In just the short amount of time we have been open, we have already seen a great response from the community opening new accounts and taking advantage of our low loan rates,” LaPorte said. The grand opening event of the Atlanta Community Financial branch location took place on February 24, 2014. As a part of grand opening festivities, the new credit union raffled an iPad Mini. Area resident Larry Pascador was awarded the prize. Community Financial now has ten locations throughout Michigan. Community Financial Credit Union is headquartered in Plymouth, Michigan and is federally insured by the NCUA. Membership is open to anyone who lives, works, worships, or attends school in 23 Michigan counties. With more than 50,000 members, Community Financial provides financial services to members at ten branch locations and through a variety of automated and online services. For more complete membership information, visit www.cfcu.org or call (877) 937-2328.